The sisterhood of Alpha Phi stretches from coast to coast through 164 collegiate campuses and more than 200,000 members. Sisters share a commitment to excellence and a strong desire to help one another and their communities. Alpha Phis are leaders, scholars, contributors, and lifetime members of a sisterhood that values these traits. Alpha Phi assists college women in making informed choices to reach their highest potential. Alpha Phi enhances and promotes each member’s development and learning by focusing on sisterhood, service, scholarship, leadership, loyalty, and character development. The Alpha Phi Foundation mission – advancing women’s lives through the power of philanthropy – is simple in phrase but momentous in meaning. Alpha Phis take pride in their dedication to raising awareness for heart disease, the No. 1 killer of women. Take Heart. Take Part. is an educational initiative introduced in February 2014 by the Alpha Phi Foundation to educate communities and campuses across North America about life-saving CPR. In support of the American Heart Association (AHA), we are adding more lifesavers to communities by training all Alpha Phi collegiate members across North America in Hands-Only™ CPR. 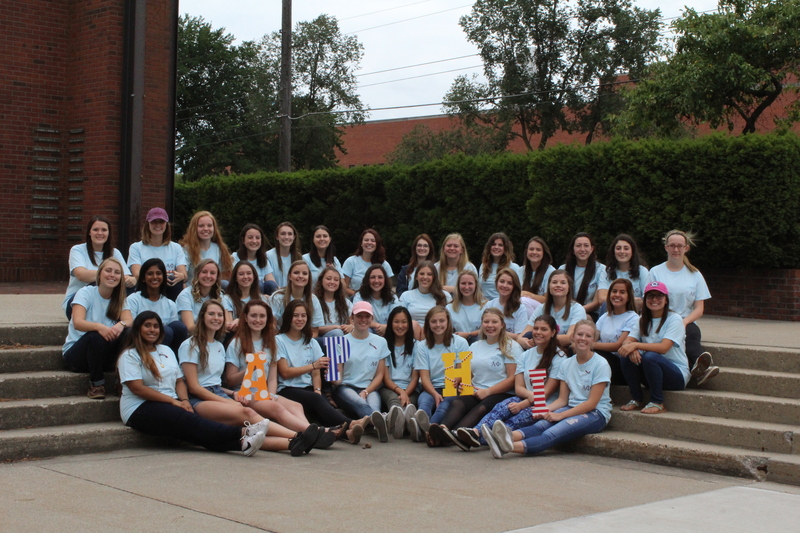 Kettering University is the home of 29 active Alpha Phi sisters. Our chapter has an average GPA of 3.31, the second highest GPA of all Greek organizations on campus, with 14 sisters that made the Dean’s list this past semester. We are proud to say that our GPA average is also above the all-Greek average, non-Greek average, female student average, and campus average. Aside from our time spent dedicated to academics, we spend countless hours volunteering in our community, playing intramural sports, and participating in on-campus clubs. Alpha Phis are actively involved in over a dozen Kettering Student Organizations such as the Society of Women Engineers, CRU, COMPASS, Green Engineering Organization, Society of Hispanic Professional Engineers, and many more! Our chapter is also proud to say that there are 5 current members that are a part of one or more Greek honor societies. In the past year, we raised over $1,700 supporting the Alpha Phi Foundation and women’s heart health. There is no limit to the dedication and determination of the sisters of the Iota Epsilon chapter. The innovative leadership and organizational practices of Alpha Phi’s Founders in 1872 set the spirit for the Alpha Phi of today…a sisterhood that values the past but looks forward to the progress offered by the future.